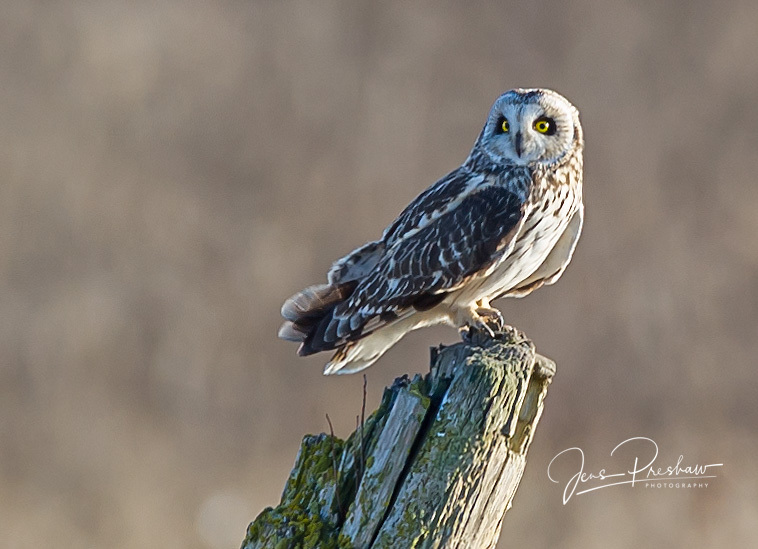 When I took the photos shown below this Short-eared owl ( Asio flammeus ) was far away. At home, when I looked at the images on my computer, I could see in the first photo that it was looking right at me. This owl must have very good vision. They’re about the size of a crow and unlike most owls, they hunt during the daylight. 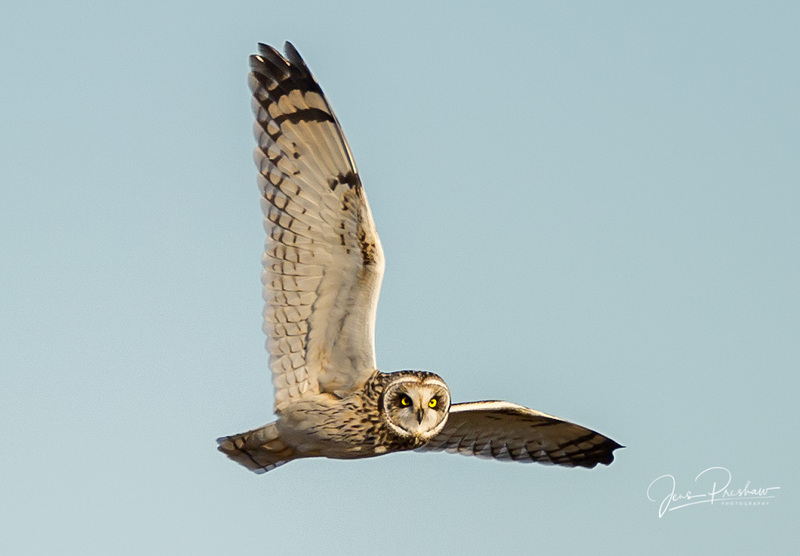 Short-eared owls flap with stiff beats of their rounded wings, giving their flight a buoyant, mothlike quality. They use acute hearing to hunt small mammals and birds.